Click here to be added to the mailing list for ASIS Europe 2019. ASIS Europe 2018 will offer multiple tracks of valuable learning opportunities including keynotes, masterclasses, executive sessions, technology & solutions, training, and a career centre, alongside the exhibition. Kick off the event in style with an informal evening in the unique Rotterdam Hall of the Postillion Convention Center WTC Rotterdam. Enjoy a great evening full of entertainment and networking possibilities. Drinks and finger food will be served. Tom Raftery will set the scene for the conference with expert insight into the organisational impacts of big data, automation and artificial intelligence. What will this mean for the organisations and jobs of the future? How quickly will these changes take place? What are the benefits for business and other organisations? This session will look at the perspectives of businesses, consumers, shareholders and communities – setting the parameters within which security professionals and particularly security leaders need to operate. Renowned technology trend expert Scott Klososky will challenge established thinking by outlining new security concerns created by the technology innovations shaping business and our world. A panel of CSOs and Security Leaders from key sectors will interpret the keynote address, focusing on the risk outlook for security practitioners. • What questions do we need to consider already now, at the early stages of Big Data and AI implementation? • How can we assign and maintain responsibility through the next phase of technological evolution? • How do the differences between perceived and real risks impact the role of the security leader? • Where are the major gaps in current operating models and methodologies? • How can ESRM (Enterprise Security Risk Management) principles help organisations? • What are the key messages for security leaders to convey to top management? This Panel will be chaired by Prof. Martin Gill. Cyber security has become one of the major challenges that organisations face today. According to the 21st PwC CEO Survey, 33% of CEOs are extremely concerned about cyber threats. Matthijs van der Wel will provide a high level overview of various threat actors and how their objectives and operations impact your cyber risk profile. He will also discuss various practical models that your organization can adopt today. This session will explore the transformation of Microsoft’s global security operations centers to a virtualized security operations center. This transformation utilized both cloud and the mobility of devices. We will share our own journey, highlighting changes to our people, processes and technologies. The discussion will touch on how we changed our operating model to a fusion center that co-locates intelligence and operations. We will demonstrate how we use the cloud for signal mitigation, bringing life safety events to the forefront, as well as highlighting the power of cloud computing and machine learning to build effective budgets and operational plans. You will see how we are visually displaying data's patterns, trends, correlations and predictive analytics to provide situational awareness. Participants will learn how data can challenge conventional thinking, drive business decisions and ultimately demonstrate the value of its security organization. •	Approaches for valuing a range of digital assets such as customer data, intellectual property and process data, plus assessing non-financial values such as reputational risk in case of customer data loss, employee data exposure etc. What happens when individuals decide to take confidential data from an organization into the public? What is behind their motivation and what processes do they go through before this decisive moment? This is not a sudden act, and organizational context can either accelerate or prevent critical leaks from taking place. From the specialised viewpoint of a Clinical Psychologist, this presentation will take you along Snowden’s critical pathway, from his early career up to his current life in Russia. We will look back at personal, organisational and societal factors and discuss the two opposing societal views of him being a whistle blower or a malicious insider. Insider Threat Interactive Session – Chasing Shadows or Targeted Defence? Widely considered the source of highly damaging attacks but where is the threat most likely to come from (disgruntled employee, rogue executive, radicalised employee, 3rd party supplier…)? Do organisations have specific plans for mitigation? For response? Are accidental or malicious insiders the greater threat? What happens to prevention strategies post GDPR? Using live polls and voting through the event mobile app, we will enhance your peer to peer learning experience – join us to share and create new insights on the spot, in the room. In an innovative company using drones, robotics and other cutting edge technologies and concepts, security and loss prevention must align itself and use innovation to provide the level of service needed. The presentation will include examples of those logistics technologies. Cultural Properties share many characteristics with other public places of assembly, such as event locations, retail outlets and sports stadia. Risks including crime and new terrorism threaten the security of highly valuable works of art, and the safety of staff and visitors. This presentation will examine new terrorism attack methods, the characteristics of their attack sites, and why the terrorist picks certain sites. We will look at how soft targets can be protected by applying the principles of Situational Crime Prevention, a process for protecting cultural properties against terrorist attacks and other forms of crime. Insurance is a key element of a holistic risk management strategy, but very few people know its value or its true importance. In fact, its a subject that holds little interest to most. But annual worldwide losses attributable to cyber-crime alone are set to quadruple to more than US$2.1 trillion by 2019, and yet 60 percent of Fortune 500 companies currently lack any insurance against cyber incidents. This session will practically discuss the importance of insurance while focusing on the importance of understanding the subject to security professionals who want to talk risk management strategies to their business leaders. Unmanned Aerial Vehicles (UAVs), commonly referred to as ‘drones’, have received significant attention in recent years. The emergence of affordable and readily available UAVs is a boon given their many positive applications. However, the risk of UAVs for malicious purposes has also grown, not least in Iraq and Syria, where the Islamic State group has deployed UAVs to launch attacks. A notable development occurred in Syria in January 2018 when a swarm of 10 UAVs launched a co-ordinated attack on a Russian airbase. Despite the apparent failure of this attack, it is a signpost for what will become possible as new developments such as pre-programmed flight capabilities and developments in artificial intelligence could be used to enhance UAV attacks. UAV-borne threats are likely to pose challenges to the built environment and to business operations in the coming years. This talk will discuss how UAV threats to property and infrastructure might develop in the coming years. This training will demonstrate the value of an ESRM strategy and multi-disciplinary teams. It will recommend the use of common security risk reporting processes and information sharing so that security practitioners will be able to prioritize the threats and respond more effectively. It will help the fractioned gain a high level strategic understanding of risk and also how to implement technical solutions. It will provide evidence that organizations which adopt such a unified approach identify the risks and are more resilient than those which operate in silos. It will examine a variety of risk tools and demonstrate the value of leveraging technology to assist the process of mitigating complex converged cyber physical risk. Hence it will give the practitioner the confidence to discuss security risk at board level and assure them that the necessary technical controls are in place to identify and mitigate it. Module 3: In the field: Risk Perception, Context and Assessment - how to interpret intelligence, stay or evacuate in emergency. Module 4: Corporate, Social, Responsibility CSR and institutional alignment/recognition. One of the favourite modi operandi of cyber criminals is to steal data to extort their victims. This does not only occur by making systems unavailable through ransomware, but also by stealing sensitive data and using it to extort the organisation. This extortion involves the threat of releasing the data to the public or using it for additional criminal use. Being threatened by such an exposure can cause a major crisis for organizations, whether small or large. Although the origin is a cyber crime, the crisis itself is fundamentally a matter of reputation. This training explains how to prepare a crisis plan for data extortion. Part of the training is participating in a crisis exercise titled: ‘sensitive customer data stolen'. Are the Most ‘At-Risk’ Failed by Equality in Travel Risk Management Programmes? When addressing personnel risk, travel policies and procedures are generally based on home-country legislation, attitudes and cultures rather than those at the destination, with all travellers being assumed equal. Often this is based on the least ‘at-risk’ population (middle aged, straight male) so the procedures, risk assessment, education, training and support can fail the most ‘at-risk’ (for a particular destination e.g. homosexuality punishable by death). This can be further complicated by not being able to make assumptions (e.g. gender, sexuality) of an employee, making it difficult to provide advice or training they might need. Is it time to change the benchmark profile? Travel security risk management and duty of care due diligence is becoming a leading priority for corporations sending business travellers around the world. While corporate security can risk rate countries, cities and destinations with reasonable confidence, knowing how to risk rate a particular hotel, or hotel brand is not always so clear. This presentation will provide inside knowledge on what to look for when conducting a hotel security assessment, key questions to ask the hotelier, and how to be better informed when making the right choice of hotel for the business traveller. Introducing Global Physical Access Control at Swiss Re: Challenges and Learnings This presentation shows the steps to selecting a physical access control system, and its practical implementation. What are the reasons to move to a new physical access control system (PACS)? What are the requirements of the new system? Does it use cards, mobile devices or biometrics? And how should the project be organised? We'll highlight the challenges faced and lessons learned in this global project. The traditional approach if a business believes their information is compromised is for a sweep team to search for the presence of bugging devices. Governments and businesses regularly use Technical Surveillance Countermeasures to defend against illicit microphones, cameras, and so on. 1. Mass adoption of consumer technology is driving development, radio spectrum congestion and technology ubiquity. The job of the sweep team is too complex, slow and inconclusive to be used alone. 2. Sweeping delivers short duration assurance. Technologies now exist offering a wider set of approaches to be used to provide protection against bugging threats. These include automated spectrum monitoring, leave-behind systems and ‘TSCM-lite’ kits for local capability. Risk Mitigation and the Importance of "How"
Everybody loves a "who done it" detective story. But when it comes to risk mitigation, while the who is important -- as are the what, when, where and why – nothing helps to implement measures to mitigate a threat better than understanding the how. This session will discuss the tradecraft used in two industrial espionage cases (Medrobotics and Deloitte) and illustrate how these cases emphasize the need for a holistic, ESRM approach to protecting proprietary information that straddles traditional corporate security boundaries. • What were the challenges that each company faced? • How were they able to overcome these issues? • What lessons were learned? • How has this experience enabled them to change their security and resilience planning? Managing the access from an unsecure zone to a secure zone in a building is becoming more and more challenging. Different types of flows must be handled, such as people with reduced mobility, people with extreme corpulence, people with hand-luggage and material. An optimal compromise has to be found between security and speed of passage. In our presentation, we will show how artificial intelligence can solve this issue, and how it has been implemented in existing projects. • the business opportunities enabled by this technology, e.g. sustainability, energy savings, a tailored experience. • How smart buildings can help to mitigate traditional risks (e.g. access control, tracking etc). The session will be structured into several short segments to facilitate dialogue amongst the attendees. Everyone has 2 minutes, but nobody will give you 20 minutes or more. Especially not when the matter is complex or difficult, and its personal importance is not instantly apparent. Information overload, time constraints, and lack of user orientation are factors that lead to bottlenecks in the effective transfer of knowledge – for security, data protection and compliance issues in particular. Today, users decide which information they want to consume when, where and how – with just one click. For this reason, persons responsible for security must make a great effort to stay up to date in the communications rat race and gain user acceptance for their messages and content. Detlev Weise outlines the rules of the new communication game in the era of digital transformation: Which channels must I use to address my in-house target groups? How do I get people to pay attention to my issues? And: How should knowledge transfer be designed and structured in order to trigger the desired employee behaviour? GDPR and Cyber Threats: Getting your Video Surveillance operation prepared for May 25th. GDPR (General Data Protection Regulation) and Cyber Threats are very topical this year and closely related to each other. Video Surveillance of public areas has been pointed out as high risk data to the rights and freedom of individuals under GDPR. As such, organizations need to have a documented assessment of their operations as well as the measures that they have taken to protect Data Subjects captured data. With the new regulation becoming enforceable on May 25th 2018, we will go over considerations in terms of the review process, relationship with their suppliers as well as technological choices so that organizations can be best prepared ahead of the D-date. A resume, along with your social media profile is part of your personal brand and getting this right can be the first step in finding a new position. We will look at ways of optimising this. IFPO Europe is facilitating training and certification needs of protection officers and security supervisors/managers from both the commercial and proprietary sectors. During this presentation, IFPO Europe will present the benefits of the CPO and CSSM certification. Sandi Davies, Executive Director of the International Foundation of Protection Officers will host a certification ceremony for 30 brand new certified CPO´s. The presentation focuses on the importance Amazon places on Diversity and Inclusion. It also describes the coaching and development Amazon provides to its Loss Prevention team and the approach taken to support career aspirations, how Amazon mentors and grows the talent in the teams. With a personal example, the presentation explains how to manage your own development, areas to focus on and the challenges that can be overcome. ASIS security certifications set the standard for professional excellence. Recognized worldwide, the CPP, PCI, and PSP credentials provide objective proof of professional knowledge and experience. Get an update of the most recent developments regarding the (concept) ESMP (Emerging Security Management Professional) certification of ASIS. Learn from experienced trainings and HQ staff why ASIS certifications are the top choice for security professionals, how you can distinguish yourself in the labour market and how the IFPO certification programs, such as CPO, can be a great stepping stone towards ASIS security certification. ASIS and SSR have teamed up for the 2018 SSR & Executive Profiles salary survey which reviews more than 4,000 security professionals across the finance sector, manufacturing, extractives, FMCG and logistics. The results will be presented here. Gain competitive insights on your position in the labour market and how your sector is performing. Please join us for a roundtable session on how to best transition from a successful law enforcement or military career. Discuss with experienced security experts how to bolster your cv, prepare for a job interview or develop further your career. Private security personnel: the most important aspect of security but what are we doing to develop them? Private security continues to grow, outnumbering public policing. Underlying drivers include government austerity measures leading to more reliance on the private sector, outsourcing, crime and the fear of crime. Unfortunately, the sector is often unable to attract the best candidates since it is rarely viewed as a viable career option. Internationally, private security has been subject to increasing regulation for the purpose of raising standards and, in turn, public confidence. However, the sector needs to invest in its people and it lacks the key elements of a structured career path, and there have been few endeavors to establish the foundations of one to support the professionalism of private security. This presentation focuses on the importance of developing people and draws on research that took place over four years that identified the elements required to develop the foundations of a structured career path. The ASIS International Cultural Properties collaborates with various cultural property subject matter experts to create security guidelines and best practices for museums, libraries, houses of worship, and other historic and world heritage sites. This session will explore the current standards and guidelines work that the council is doing. To create a robust protection programme venues have to adopt a multilayered approach that incorporates a number of security measures that are interwoven and create security in depth. This presentation will discuss the concept of ‘security in depth’ and how the physical and technical security measures play an active part, alongside and in support of the human protective element. Best practices and applications will be discussed to enable delegates to better understand the part that these measures play in protecting our Cultural and Heritage sites. Cultural and historical venues by their nature are open and welcoming locations. Because of this, striking a balance between open public access and appropriate security measures is very important to ensure visitors are not intimidated and the welcoming approach is maintained. The provision of specialised training of staff and volunteers is an important way of achieving this objective. One critical aspect within that training process is increasing the levels of situational awareness amongst all staff and using an effective behavioural analysis approach to identify and act upon suspicious activities and actions. This presentation will demonstrate the importance of situational awareness and how to recognize and act upon non-verbal interpretations to assess whether what is being seen or observed is one of normality or a potential precursor to an aberrant act. •	Understand the importance of situational awareness in identifying and protecting assets. •	Be able to evaluate activities and non-verbal actions of third parties. •	Be able to understand whether the analysis of behavioural activities would be beneficial to their organisation. •	Be better able to implement a behavioural analysis approach into their security program. The Cultural Properties Council sought to answer this question: what is the best way to develop a security plan to protect archaeological sites? Council members proposed exploring the Clunia archaeological site in Huerta de Rey to create a case study to be published in a future English-Spanish language CRISP Report. With the support of the ASIS Foundation, the Council’s research included a site survey and risk assessment that focused on exploring the site's culture and its vulnerability to looting and natural or manmade hazards. The survey considered the local legal requirements, available resources, and concerns and how they would affect the security plan. Relax, recharge your batteries and enjoy a drink in the exhibition after a busy first event day. Available for all participants. This dynamic presentation will focus on the evolving Jihadi terrorist threat in Europe, look ahead at likely challenges this spring, summer and fall, and stress improving resilience through recent lessons learned. This includes gaining insight on situations ASIS members are likely to have to deal with over 2018 like the June-July World Cup football tournament in Russia; the threat around various upcoming elections; and far-right and far-left extremist reactions to terrorist activity. Also covered will be recent changes in terrorist tactics and emerging best practices in managing acute threats for staff in office environments. Urban security precincts, designed expressly to control access and facilitate surveillance, can help to protect public places from vehicle attacks like those perpetrated in New York, Boston, Brussels, Paris, London, and Barcelona. We can apply access controls and enhanced vigilance to large areas, including parks, promenades, malls, streets, museums, government quarters and more. Architects and urban designers are helping to design enclaves and precincts, with new variations on old methods, and using new technologies that help to detect contraband and anomalies. Security must be extended to entire urban areas. The EU’s new General Data Protection Regulation will come into force in May 2018 – is your organisation ready? Have you mapped the impacts on your security processes? This deep-dive session will first outline the regulation and its major impacts from the perspective of a privacy expert. We will then examine key security impacts for different industries. Expect specific focus on topics such as investigations and data collected by security cameras. Session to be chaired by Axel Petri, Senior Vice President Group Security Governance, Deutsche Telekom. Having heard how an increasingly diffuse risk outlook impacts the role and expectations on the security team, how can you set up your organisation effectively? What are the skillsets needed now, what will be new, and what will become redundant? Will you be adding robots and drones to your security team? What are the options for different sizes and types of organisations? What will be in-house and what will be outsourced? Using live polls and voting through the event mobile app, we will enhance your peer to peer learning experience – join us to share and create new insights on the spot, in the room. A panel of security leaders and young professionals will stimulate the exchange with their viewpoints. The session will be chaired by Florian Haacke, CSO / Head of Group Security, Innogy. Being adaptive to new types of risk is at the core of ESRM - the practice of managing a security program through the use of risk principles. It’s a philosophy of management that can be applied to any area of security and any task that is performed by security, such as physical, cyber, information, and investigations. 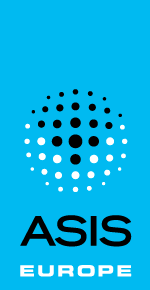 A member of the ASIS International ESRM Commission will demonstrate the value of ESRM in addressing emerging risks created by the blurring of boundaries between the physical and cyber worlds. ESRM in Focus: A three-part double session framing the need for ESRM approaches and how to implement them. Partitioning human, physical and IT security is artificial in modern enterprise operating in a multi-layered risk environment. Business resilience as an umbrella concept introduces a more effective approach to organisational security. It urges to combine different areas of security into an integrated process. Instead of preparing for specific threats, we should train core aspects of organisation to be so flexible and adaptable that it can survive any disruption. This presentation provides a framework, which helps to evaluate level of resilience in organisation, as well as discusses how companies can improve their business resilience. The distributed and cryptographic nature of the blockchain technology is, leveraging itself as a key component of future “secure-graph” where physical and cyber world augmented into one, which will be the new operating domain for future security professionals. Blockchain as a technological term might be one of the most complex concepts in the tech buzz world of words, however when the real potential is unchained, implementation areas of the technology in the security industry and eventually in our daily life, is immersive and so disruptive to an extend that we all not only need to consider to adopt but forced to live with it. In this presentation, blockchain and some relevant technical solutions and terms will be presented in the simplest way to be correctly resonated in security world and jargon. Sensors on IoT devices collect vast amounts of data, that when analysed may reveal patterns that inadvertently expose your organisation to new risks. This will often include data collected by your smartphone or connected car. A recent example of this was widely covered in the media when data collected by fitness tracking app Strava revealed the location and outline of military bases and the routines of personnel stationed there. Peter Zmiyarch, Assistant Head Operations Security at the Organisation for the Prohibition of Chemical Weapons (OPCW) will analyse this case and use additional examples from his own daily practice to address deficiencies in how organisations and their staff are equipped to handle these new risks. This interactive simulation game allows you to play a role and understand stakeholder needs from all perspectives, in an actual Cyber Incident. Players in the game include, a range of stakeholders including customers, senior management, regulators, technical experts and the media. During the game we will simulate the key objectives of each stakeholder group, their information needs, the pre-disaster provisions they could have put in place as well as instant action plans that they could develop. We will simulate the interaction between the stakeholders by means of this interactive game. Participants receive a game ‘kit’ as part of their participation, which includes a range of topical challenges to address within the 2--hour game format. In this special two-hour program, anti-terrorism consultant Craig Gundry explores the unique challenges of protecting soft target facilities against mass violence and specialized approaches for managing terrorism-related risk. Some of the topics surveyed in this seminar include strategic risk management concepts, protective counterintelligence, physical security strategies appropriate in diverse soft target environments, integration of physical security and emergency preparations, infrastructure design, and emergency response planning. Game of Threats is a digital game that is designed to create cybersecurity awareness. During this game two teams play against each other. One team will try to defend itself against the cyberattacks the other team, the threat actors, will deliver. The game environment creates a realistic experience where both sides are required to make quick decisions with minimal information at hand. After the game we evaluate, together with the teams, the decisions that were made in order to learn and get insight into the consequences of these decisions. Game of Threats is all about critical decision-making and it enables players to get insight into the complexity of cybersecurity and the steps that need to be taken to better secure their organisation against attacks. •	What strategic choices should be considered to organise your cybersecurity infrastructure. In his book, The Gift of Fear, author and security expert Gavin de Becker writes that each of us has instincts that allow us to predict violent behavior. In the USA, people are told, “If you see something, say something.” In the UK, people are told, “See it, say it sort it.” But how can you train your staff to go beyond these words and trust their instincts to identify suspicious behavior and persons? Many soft targets such as houses of worship and entertainment venues do not have trained security officers trained to identify potential adversaries. This workshop will give you methods to engage your staff in training that will raise their security awareness and reduce your organization’s risk. Jason Dibley Technical Director at QCC Global gives an informal and interesting presentation examining how neglect of the physical security of a site, leads directly to industrial espionage and information theft. Using real world cases studies, video and photos of live eavesdropping attacks Jason also looks at the consequences of these different scenarios and how TSCM and other security measures could have prevented these situations occurring. •	At the Parliament of the Federation Wallonia-Brussels, Pitagone has put together a secure entry process for people, mail and vehicles, taking into account all possible scenarios of terror attack. •	At the OECD in Paris and Brussels-South Airport , Pitagone has tested all systems and trained security staff. The migration of CCTV from analogue to IP platform has enabled many improvements and continued innovations in the surveillance space. Some of these include greater flexibility, scalability, integration and of course the evolvement of high definition multi megapixel cameras. However IP itself can present new challenges and threats to the integrity of a surveillance system in the area of network security. Is my CCTV system really ‘closed’? Here IndigoVision will examine how cyber-attacks are changing the way we need to think in deploying IP surveillance systems, where and what the threats are and the unique technology for surveillance systems they have developed to combat such threats. In this session, delegates will learn how predictive intelligence analysis is essential to an effective resilience strategy for global organisations. Using case studies drawn from our multinational client base, our speaker will illustrate how a number of leading brands have successfully incorporated predictive intelligence to support key strategic processes. Examples will cover the application of predictive intelligence into decision-making across physical security, new market entry, reputational and political risk and resilience programmes. Case studies are supported by the methodological framework Falanx Assynt has repeatedly proven over the past 15 years. Delegates will leave with a clear understanding of how and where they can add value to their organisations and enhance resilience through predictive intelligence. The line between physical and cyber security is becoming increasingly blurred. Nowhere is this more true than the Internet of Things, where enormous amounts of sensitive data is being exchanged and unwittingly leaked each day. When we talk about the security risks of IoT, we think of smart devices, driverless cars and PLCs. We don’t often think about Connected Storage. Nowadays businesses cannot succeed unless they are able to share information widely and rapidly, so it is no surprise that these types of devices - cloud storage, personal NAS drives, databases - are proliferating. But this constant flow of information introduces numerous risks, both virtual and physical. CybelAngel cyber risk analyst Pierre Falconetti talks about the growing number of data leaks which are taking place on Connected Storage. With the adage that the only thing we can be certain of is uncertainty seemingly never truer, security teams increasingly need to harness new technologies and develop new skill sets to safeguard assets. While we understandably focus on securing the vast amounts of data produced by our organisations, we overlook the security potential of the vast pool of open source information similarly created on social media channels. Dataminr will look at how leveraging social media effectively can be a force multiplier, allowing small teams to efficiently leverage a global network of information sources numbering in the hundreds of millions. Robotics in Corporate Security - Does the Technology Live Up to the Hype? In recent years, we’ve seen the introduction of robotics in corporate security; platforms equipped with a wide arrow of sensors, that are able to navigate through a semistructured environment, and notice and inform on anything unusual. How can we expect this task pallet to expand? And to what extent can robotics be expected to influence (i.e. physically interact or manipulate) the human-build environment, instead of mere navigation? Lessons learned from the nuclear domain, where complex manipulation tasks have performed by means of robotic technology for decades, will be presented, and the opportunities and challenges of robotics in corporate security will be discussed. Security professionals need to be part of or have direct access to the C-Suite within their organizations. To reach this, their knowledge must extend beyond the security function. They should have adequate business acumen to listen to and understand the organization’s overall needs, where the business is and where it is going, as well as being able to make their own needs understood in a convincing and salient manner. To be able to communicate in this way, a certain degree of business knowledge is required, something that many security professionals are usually not familiar with. Upcoming years will be seen as a challenging transition period, as the ne(x)t generation of digital natives is entering the security workforce, which can potentially boost the profession to the next level and open up new opportunities of business enabling. The panel will discuss different perspectives on the characteristics and perceptions of digital natives, their impact to the security profession and how to ensure security jobs continue to generate a pipeline of future talent. Discuss with experienced security professionals from different European countries about values and challenges YPs from the ne(x)t generation offer to forward thinking companies and the security profession overall. ASIS security certifications set the standard for professional excellence. Recognized worldwide, the CPP, PCI, and PSP credentials provide objective proof of professional knowledge and experience. Get an update of the most recent developments regarding the (concept) ESMP (Emerging Security Management Professional) certification of ASIS. Learn from experienced trainings and HQ staff why ASIS certifications are the top choice for security professionals, how you can distinguish yourself in the labor market and how the IFPO certification programs, such as CPO, can be a great stepping stone towards ASIS security certification.